Welcome to Core Teaching Solutions for First Aid Training in Sheffield, Chesterfield, South Yorkshire, North Yorkshire, Scarborough and North Derbyshire. 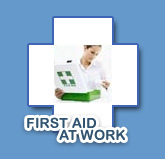 Core Teaching Solutions provide professional and certicated first aid training courses for individuals and businesses in Sheffield, the South Yorkshire area, Chesterfield, North Derbyshire, North Yorkshire, Scarborough and nationwide training for groups and businesses. We only put on courses that are asked for regularly onto our calendar of events. If you want to do any of our courses that are not actually on the calendar , then please get in touch, because we can run extra courses if necessary and could also maybe fit you onto other courses we are running elsewhere. These are regulated qualifications that are provided through an awarding organisation that is recognised and regulated by one of the UK regulators (e.g. Ofqual in England, SQA accreditation in Scotland). The certificate of achievement awarded to successful learners will contain the logo of Training Qualifications UK Ltd Awarding Body for Compliance and the relevant UK regulators along with the full qualification title and number. This is the course that has basically replaced the old style 12 hour course , but has more content in it , hence why it is a level 3 qualification. 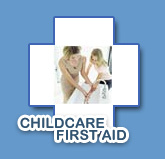 It is the one recognised by OFSTED for Childminders and any Nannies who may require this level 3. We usually offer the "Blended course" as this has proved much more popular than the 2 day course. But we can still do the 2 day course if requested. This course is a "Blended" course which is a combination of video based online e-learning (theory) and a practical day with the instructor. This method is by far the most popular one, because the videos are watched in your own time (not all in one go!) and the practical part is just one day, so much easier to organise and potentially cheaper than taking two days off work. This "Blended" option has exactly the same level 3 qualification at the end as the traditional 2/3 day course. Please note the "Blended" course is an option for level 3 , it has not replaced the 2 day alternative. We also appreciate that it is often difficult for Childminders and Nannies to attend the level 3 Paediatric First Aid Blend course practical day on a week day, so we can also offer practical day on a Saturday each month , and subject to numbers and availability can arrange extra dates. Call direct on 07861 498360 to discuss or for further information. All our courses are taught in a relaxed, supportive and friendly atmosphere with the emphasis on fun and learning. Sharing good practice, new ideas, demonstrating and then using various aids and equipment, but most of all building knowledge, skills and confidence in yourself to be able to deal with an emergency situation should it arise. First Aid is not about being perfect, it is much more about doing the best you can in whatever situation you find yourself in. 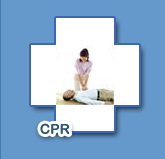 You can also download a free student manual for all our completed first aid courses. We want all learning to be inclusive, so if you need any additional assistance or requirements to aid learning, then let us know in confidence, so we can try and make any appropriate adjustments to the course. We are able to assist with NVQ portfolio evidence for any candidates who are currently taking an NVQ Course, and many courses can also be used for your CPPD. 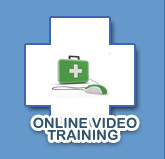 Theory and practical training with instructor or online e learning for refresher. 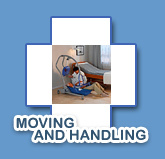 We have a Mobile Hoist , slide and roller sheets, belts, sling ,banana board, rotator, bed and wheelchair for practical in Moving and Positioning of People. 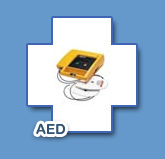 Individuals or groups with us , or subject to minimum numbers we can do training onsite nationally.